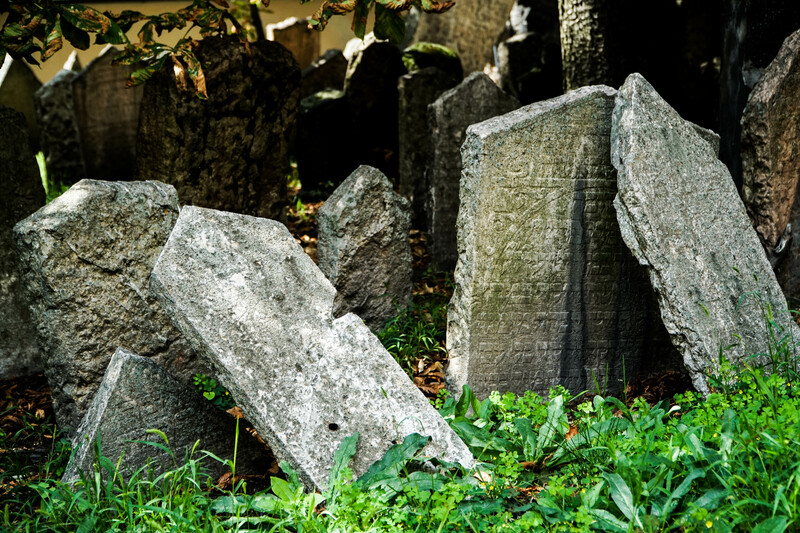 Prague’s Old Jewish Cemetery has a mystic atmosphere all its own. 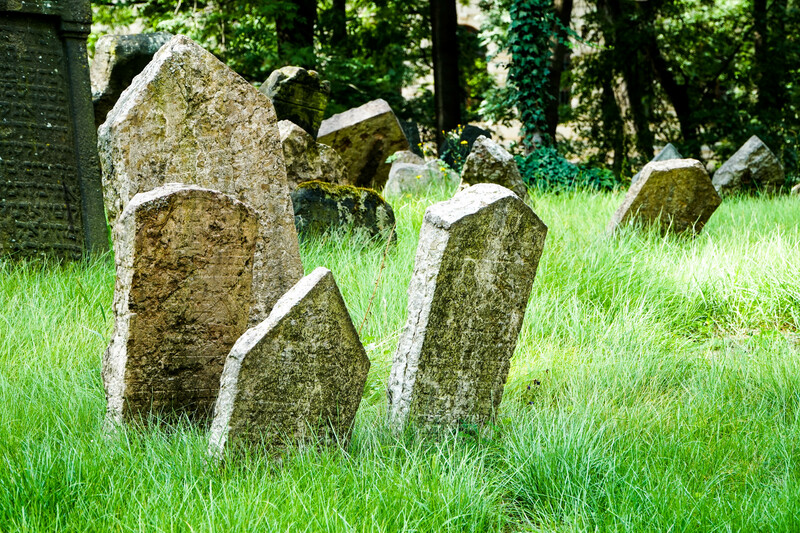 The tombstones, dating from 1439 to the late 1700s, sit nestled in crowded, lopsided clumps. 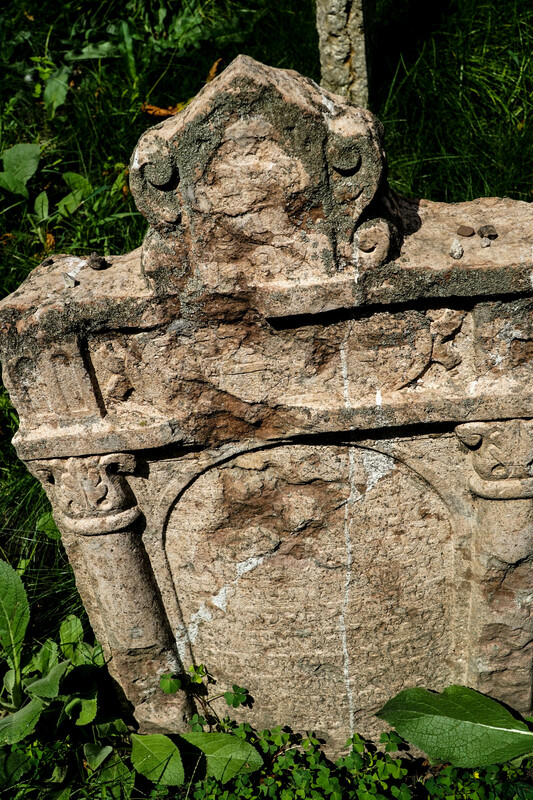 The inscriptions are worn or long gone. 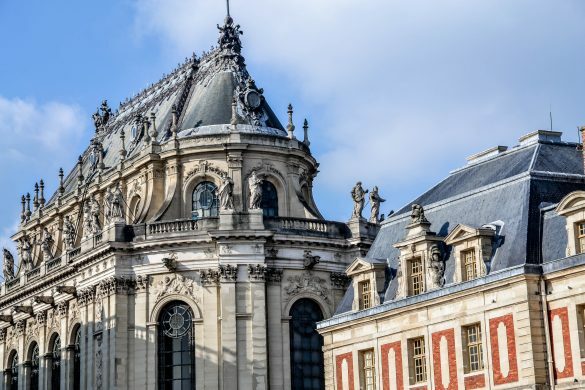 As you wind around the tree-lined paths of the tranquil cemetery, you’ll want to know that about 100,000 people are buried here. How is that possible? The Jews were restricted to burying their dead only within the ghetto walls, so for centuries, this was the only place for graves. When one layer of ground was full, dirt was added and another layer was made. It’s estimated that 12 layers of graves lie here. The resulting tangle of headstones is at once picturesque and absolutely haunting. You may also wonder how this plot of Jewish history survived WWII, when Jews living here were deported to camps. 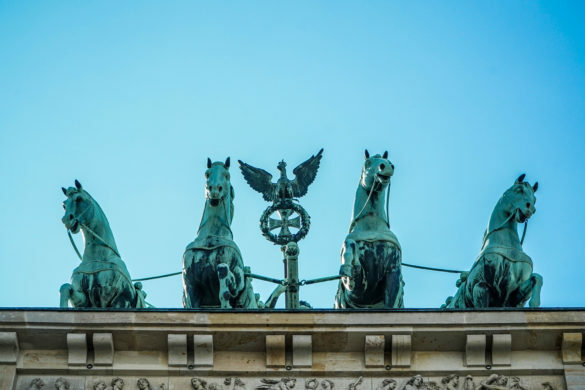 It’s said that Adolf Hitler kept the Old Jewish Cemetery as it is because he wanted it to be a museum of a race he would extinguish from the world. 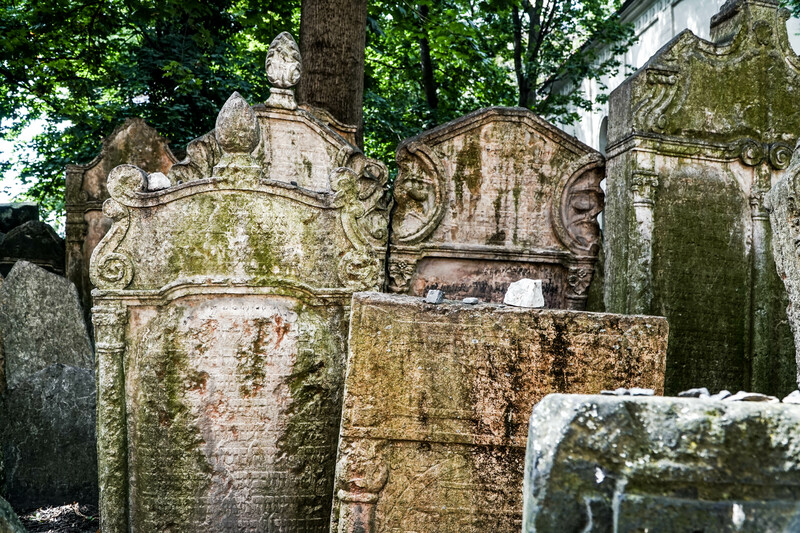 Next to the Old Jewish Cemetery is one of the synagogues open to tour in the Jewish sector of Prague. 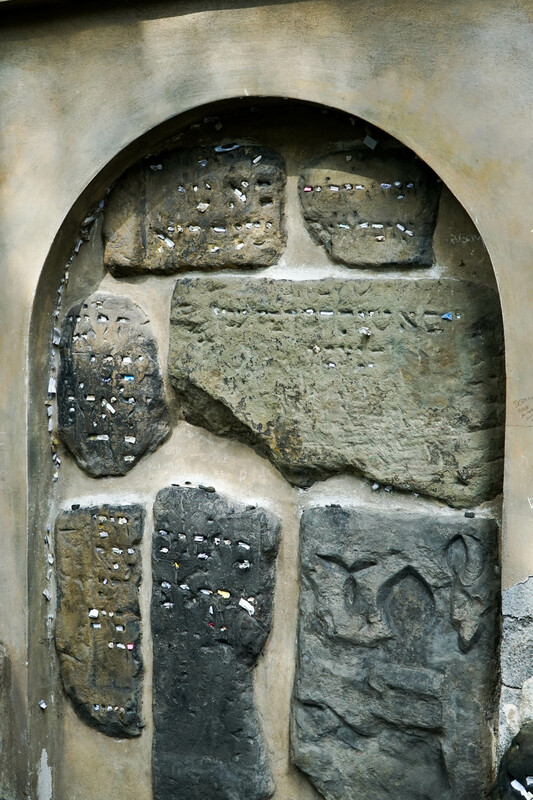 The Pinkas Synagogue dates from 1479 and today is a memorial to the Jews persecuted by the Nazis. 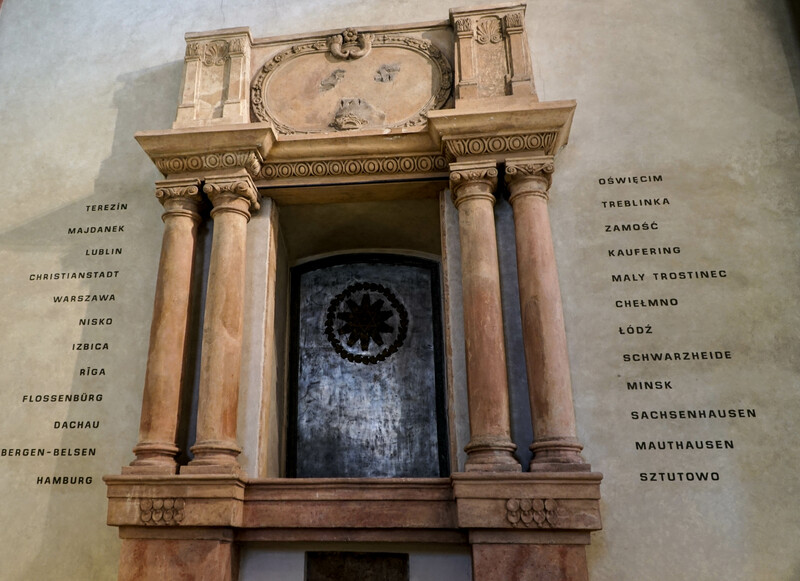 On the walls of this small, almost home-like synagogue are the names of the 77,297 Jews from Bohemia and Moravia who did not survive their time in the Terezin Camp. 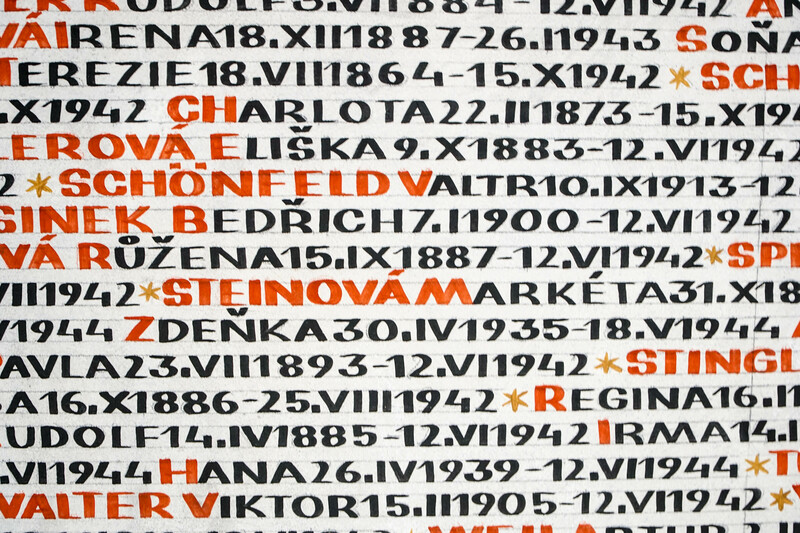 The names are arranged by family, in red letters, and include birthdates and dates of death or deportation. The sheer volume of names is overwhelming, and add to that the sound of the names being read over the speakers while music is played in the background. 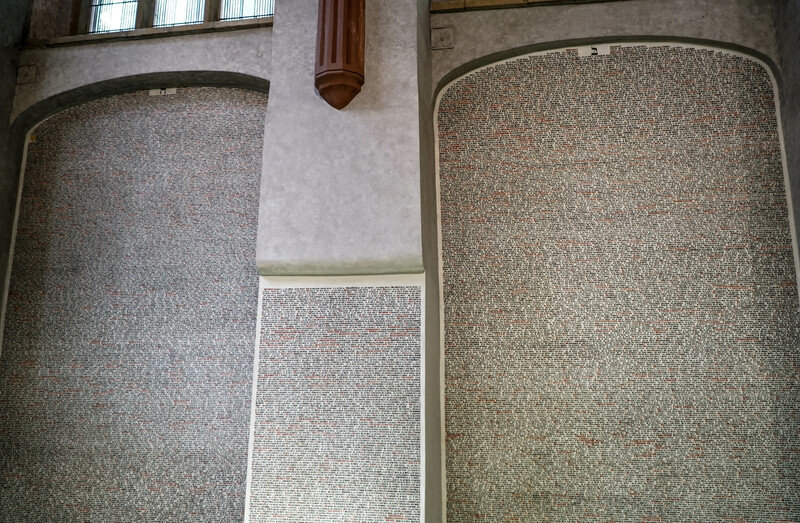 One wall displays the names of the camps that received Czech Jews during WWII. 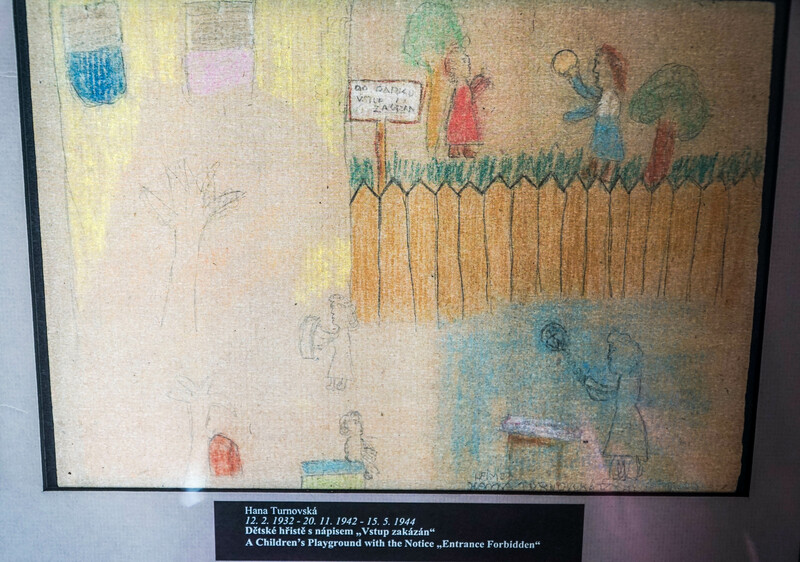 In one wing of the synagogue you’ll find a display of children’s art coming out of Terezin. 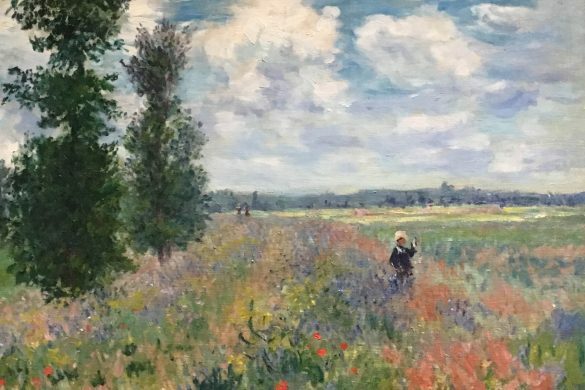 Very few lived through the war, but their art survived to depict their view of life. This picture shows a city park closed to Jewish children. 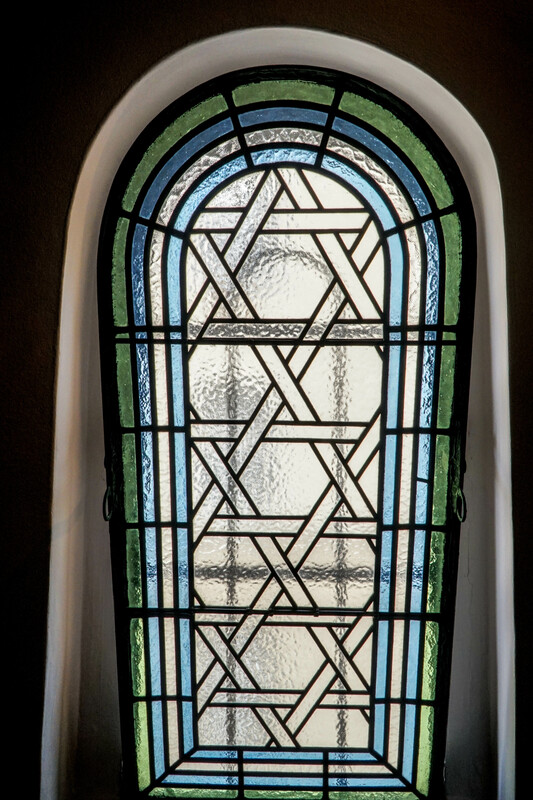 The Pinkas Synagogue memorial was started in the 1950s but languished during Communist rule. The memorial was finished and opened to the public in 1996. 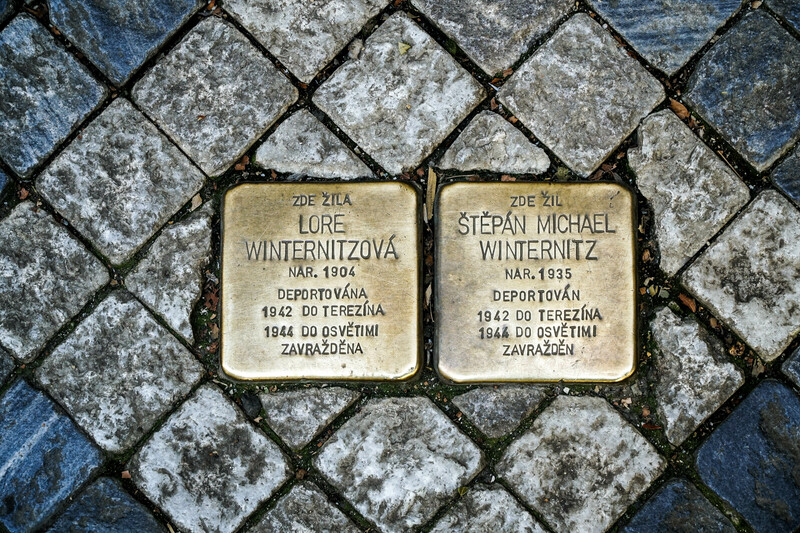 As you leave the Jewish Quarter and walk around Prague, you’ll see memorial plaques in the sidewalks, known as stolperstein. 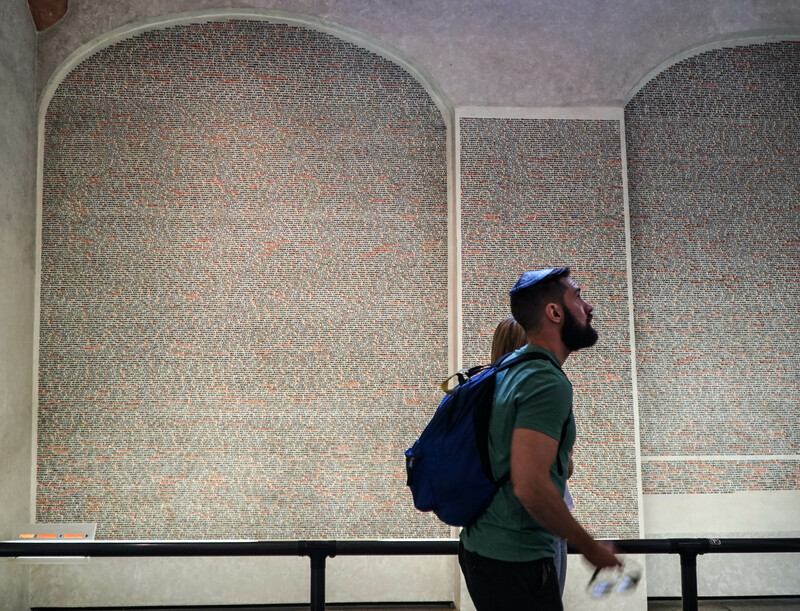 The inscriptions contain names and dates of Jews deported during WWII. These are another reminder – never forget. Wow. I got goosebumps. I so want to see this one day. Prague is on one of my places to visit. This really gives me goosebumps. I enjoy your writing style and the eye for catching the details. Happy travelling!!!! 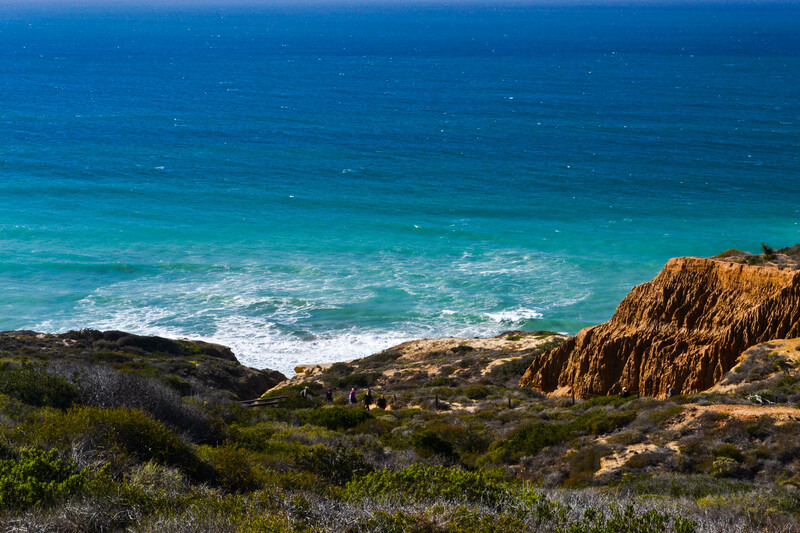 Isn’t this place just fascinating? I have visited twice, but it hadn’t lost any of its magic. Even on a busy August morning, things were still peaceful there. The numbers haunt me. This is indescribably tragic. Prague may not have been bombed in the world Wars, but certainly did not escape the horror of the wars. 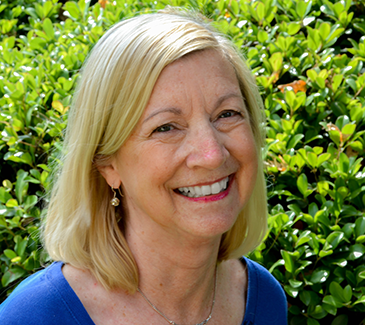 Thank you for telling All Seasons the must-know situation about the Jews back then:( Have a love-filled week, Sharon! Wunderbare Bilder und ein toller informativer Text. Ich werde öfter vorbeischauen und werde dir folgen. The cemetery is hauntingly beautiful but also heart-breaking! So many lives considered unworthy of life; so many lost during the War too, and the Synagogue is so overwhelming! The memorial is one I would visit. I don’t think I could get through Auschwitz or one of the camps, but this I would visit. I have been reading books about the way the Polish were treated, and particularly the Jews, by the Nazis and it is so horrifying! A part of our human history to never forget, as you say! Beautiful photos of this sad sad place. Haunting and incredibly sad, thank you for another beautiful post on tragedy that we must not forget. Heartbreaking to think of man’s inhumanity to man. I am glad this cemetery wasn’t destroyed by Hitler’s goons. It is well worth remembering those who suffered under his terrible reign. Oh wow, how so very sad and yet fascinating. I found this synagogue and the nearby cemetery very moving when i visited. A moving post. 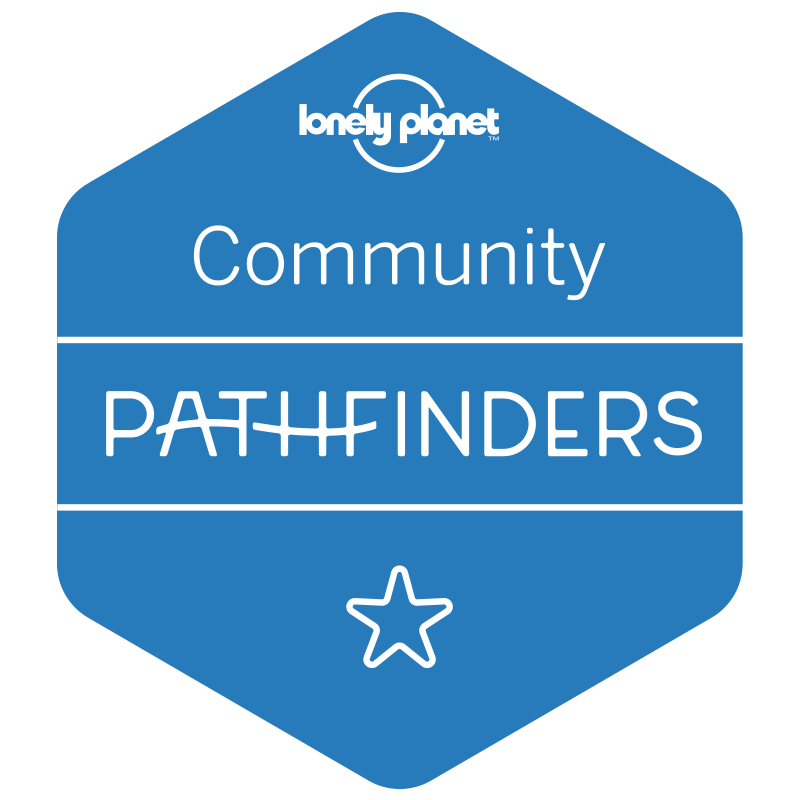 And always it’s worth reminding us of these things because the sheer numbers are so hard to grasp they seem almost impossible – so we need to be told over and over and over. What a wonderful piece of history to find and share with us. Fascinating. 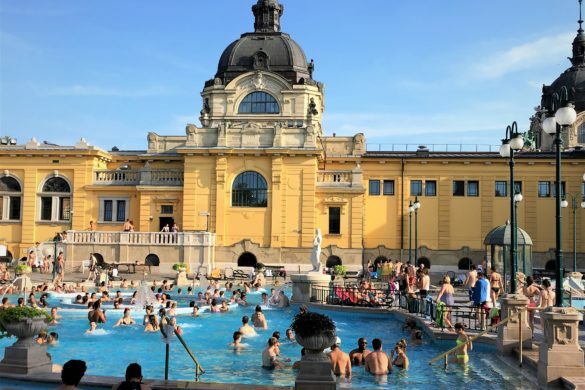 Prague is an intriguing destination. Haunting and beautiful at the same time. We must hope and pray that we live in a more humane era. Wow! 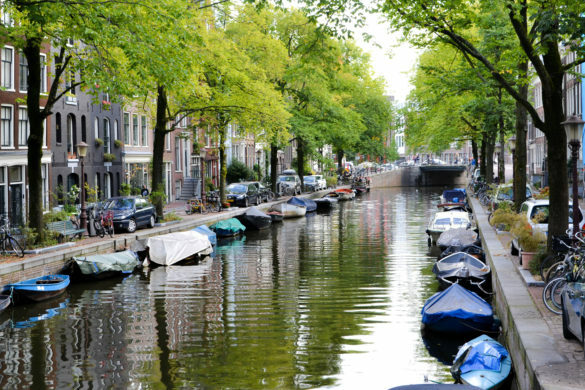 I would like to visit there one day. It is haunting and beautiful. I pray that we may one day live in a world where such things as these do not happen. It’s unfathomable to imagine that kind of hatred…but it’s important to remember that people are able to turn their backs to such things. They can be apathetic and scared and justify looking away. That is what we must all see in ourselves in order to prevent atrocities to our fellow human beings. I think that is why reminders are so important. I like that they are on the sidewalks where every day people walk…because everyday people turn their backs every day. We need to recognize that in ourselves in order to change it forever. Wow! This is on my list of places to visit. What a somber place. Glad you have been there. Your photos are wonderful. It’s sad to think about the history of this cemetery, but places like these are reminders of what we can learn from. 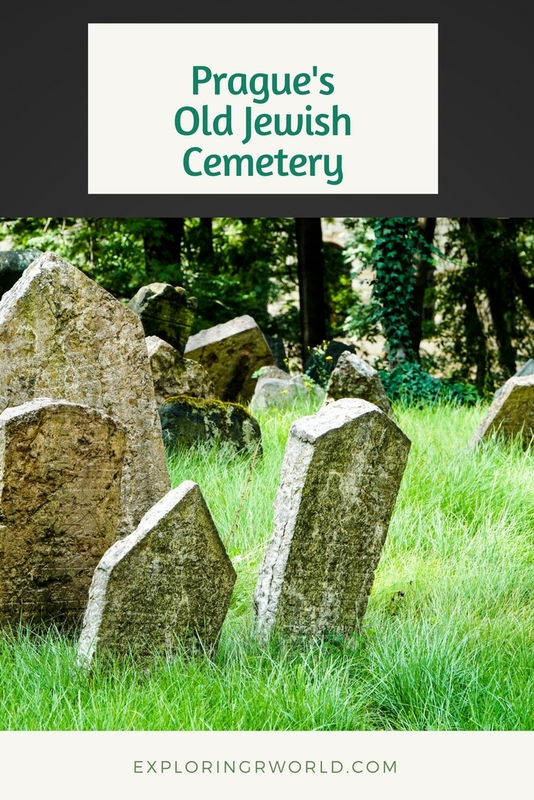 Your story as you walk through the cemetery was haunting, real, and emotional. I appreciate your honesty and hearing your story. Haunting photos. I can’t imagine 12 layers of graves. I think it’s so important to visit these sorts of places to remember the injustices that happened, and hope that they don’t happen again. On my first visit to Prague we went to an exhibit of the art from the children of Terezin. It was heart breaking. They also had these horrible marionette puppets depicting Nazis, Hitler and Jews as if the children wanted to see puppet shows of the horrors they were living. The cemetery is equally haunting and beautiful. This cemetery is one the most moving places I’ve ever visited. Great post! 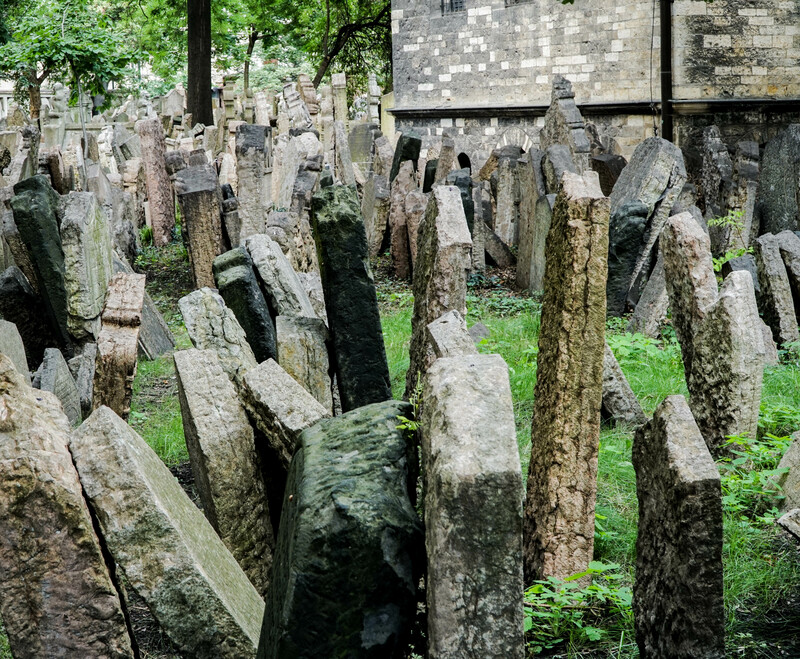 We saw the cemetery when we visited Prague – I couldn’t get over the sheer number of headstones. I think it’s a very moving place. 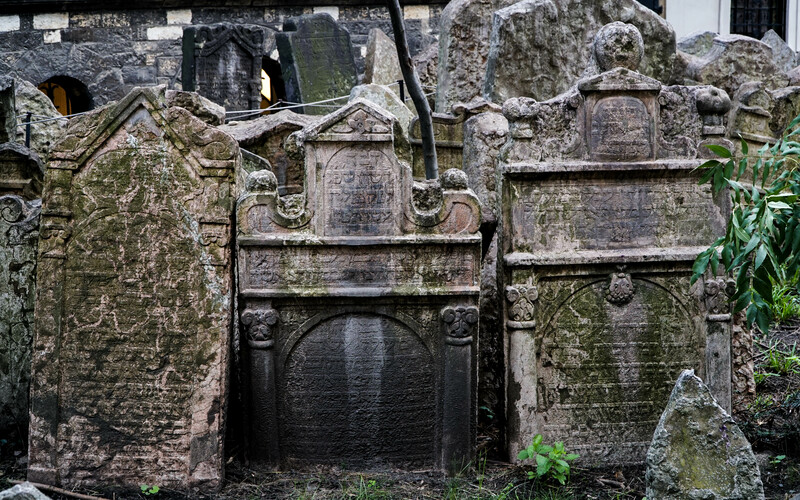 Prague’s Jewish Cemetery is indeed very atmospheric. I remember having a feeling of sadness when I saw that pile of headstones laying there in disorder. It’s a place of remembrance that every young person should visit. The atrocities of war may seem unbelievable to those who were born in times of piece and abundance. Haunting is the perfect word. 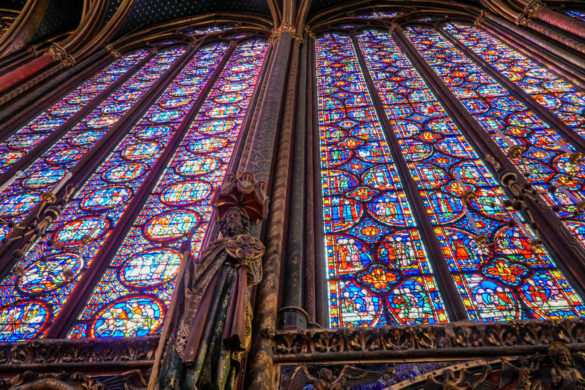 What a beautiful tribute to an emotionally – charged subject matter. Your pictures are stunning as well. Heartbreaking and moving. Fantastic photos! Fascinating, heartbreaking, beautiful, important. Thank you for sharing this place, and whilst obviously I wish none of it had happened, I’m glad the victims are being remembered in such beautiful ways. Thanks for sharing these pictures and the stories behind them.